Whenever I’m in New York, I have a few drinking buddies all ready to hit a few bars for cocktails with me. One friend who I used to work with at Chez Panisse is at the top of that list and we both like our cocktails the same way: Not on the sweet side. So when we go out, we scan bar menus to find drinks that accent the bitter and earthy, rather than fruity. (Unless you’re talking about margaritas and daiquiris, or anything served in a hollowed out pineapple or coconut – then I’m in.) At one bar we couldn’t find a drink on the list that caught our eye, so the bartender offered to make a Chin Up. 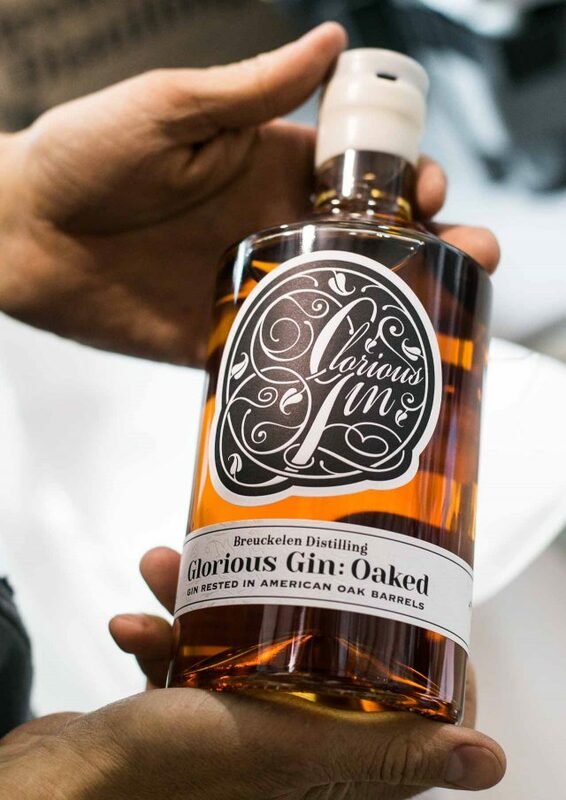 The base of a Chin Up is gin, and I recently went to visit Breuckelen Distilling, a relatively new distiller in Brooklyn that’s using New York grains and botanicals (as much as possible) to make a Rye & Corn whiskey as well as two types of gin: one barrel-aged and another simply called Glorious Gin. 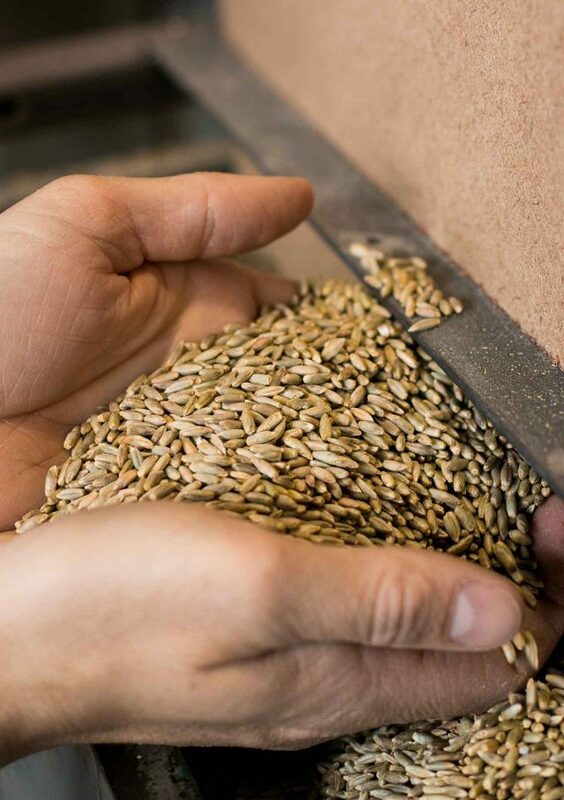 New York state wheat is distilled for their gin, rather than something more neutral, which gives the final gin a different flavor profile than other gins. It’s smoother, yet higher in strength, coming in at a higher proof than some other gins. Once distilled, grapefruit and lemon peels are added, as well as rosemary, ginger, and juniper. 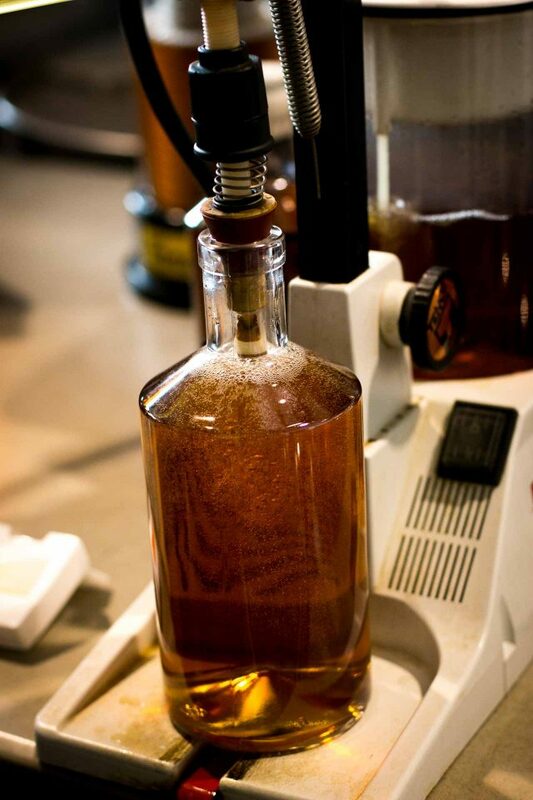 A portion of their gin is then barrel-aged for a year to give it a gentle amber color and a slight woody flavor. 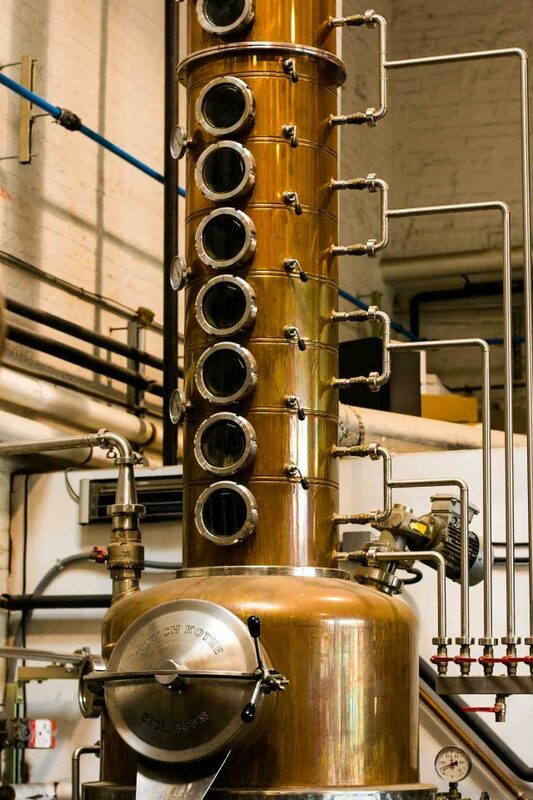 Just above is one of the gorgeous copper distilling machines where owner Brad Estabrooke, a young bond trader-turned distiller, was monitoring the progress as the corn and rye-based whiskey he was working on passed through the various chambers. 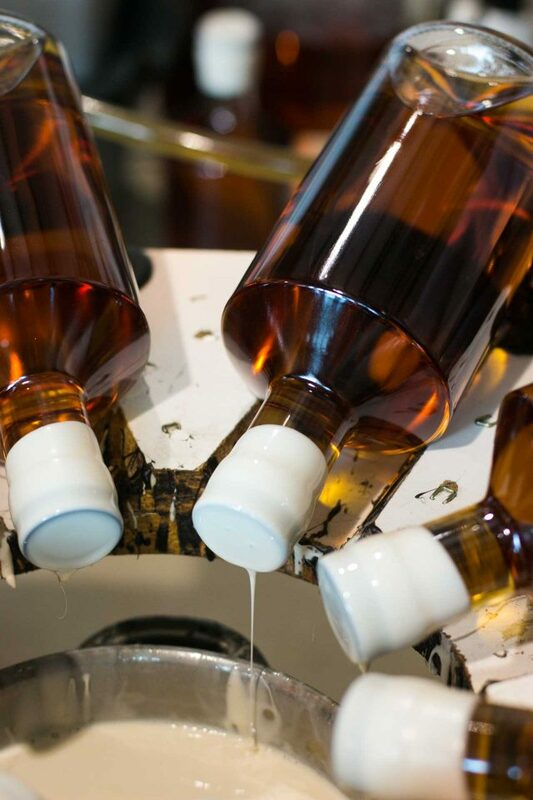 Gino DiStefano, who works with Brad as sales director (and bottle-filler), filled bottles with whiskey a few feet away, capped them off, then dipped the necks in wax. 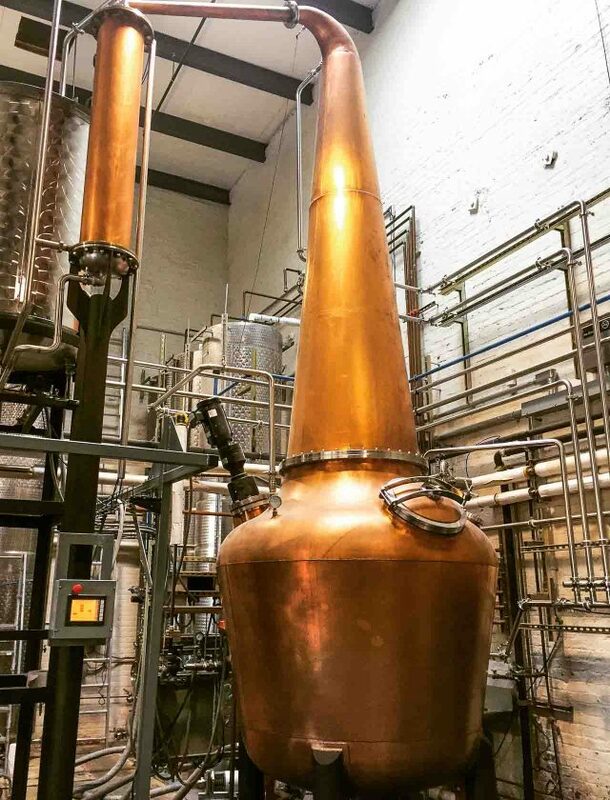 The small distillery that’s been in operation since 2010 produces roughly two thousand bottles of month in an ancient boiler room, a high-ceiling space with lot of light filtering in from a large round skylight, which may have been an opening for one of the old steam pipes. I left with a bottle of Glorious Gin, which they gave me to try at home. The smooth gin doesn’t have the brash intensity of some of the juniper-forward gins, but is mellowed by the wheat, and the gin surprised me with its polished, buttery quality. It’s not overly botanical, which a lot of gin companies are now favoring, a trend that I’m on the fence about because I like gin to taste like gin – not necessarily a bouquet of herbs and spices. I suspected it would be a good gin to try with a batch of Chin Ups. 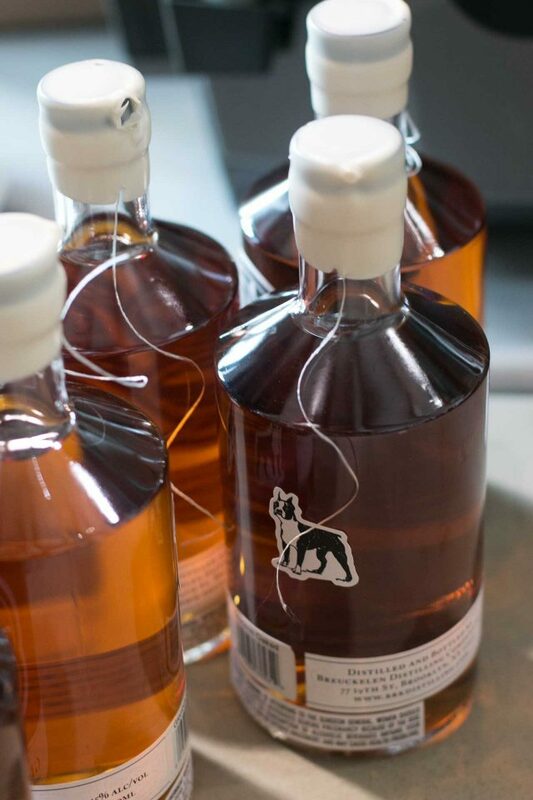 To make them, I picked up a bottle of Cynar, an artichoke-based liqueur from Italy. It’s rather intense and a little goes a long way. 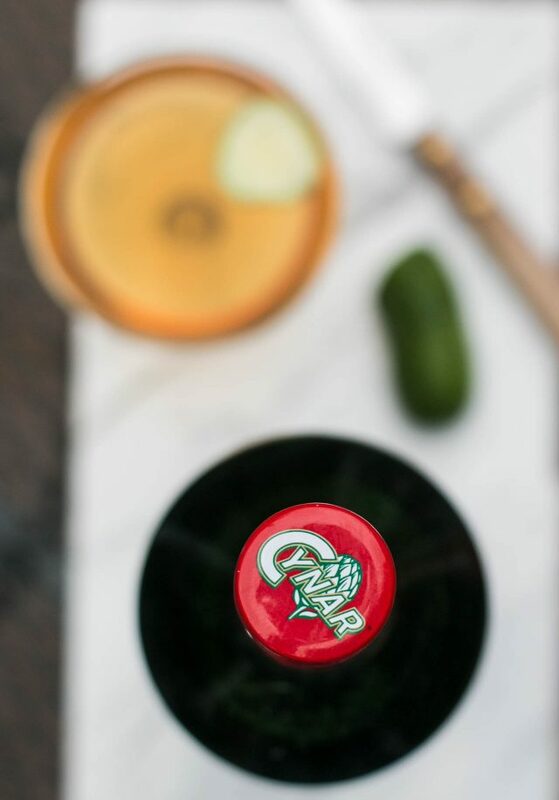 Even paired with vermouth, velvety-crisp gin, and tamed by cucumber, it races through the glass and hits you with a bracing bitterness. I’m not sure where this cocktail got its name. 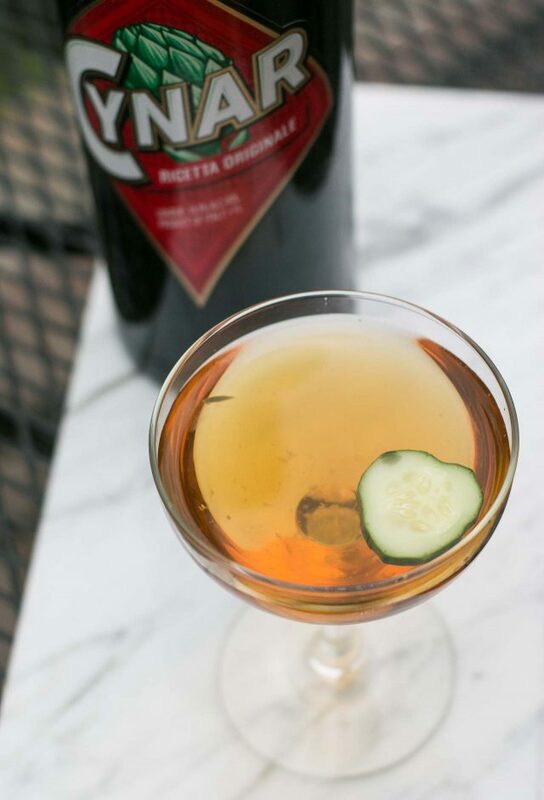 But if you have more than one, you might find it hard to keep your chin up.Cynar is an Italian liqueur made from artichokes and is quite a force to be reckoned with due to its intense bitterness, balanced here by the cucumber, gin, vermouth, and pinch of salt. It’s not hard to find in the States in well-stocked liquor stores. 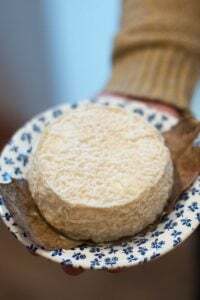 In France, you may have luck finding it in an Italian epicerie. If you can’t get it, you could try another Italian amaro, Fernet-Branca, or even Jagermeister, in its place. If so, traditionalism may require you to change the name. But that’s part of the fun of inventing your own variations. 1. Muddle one slice of cucumber with the salt in a mixing glass or small pitcher. 2. 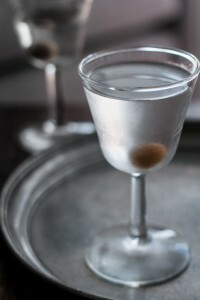 Add the gin, Cynar and vermouth, and fill the mixing glass partially with ice. 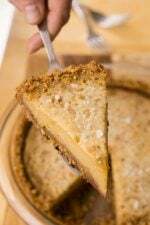 Stir briskly until the mixture is well-chilled, about 20 seconds. 3. Strain into a chilled stemmed cocktail glass and float a cucumber slice on top. It’s all very steampunk chic. I went to a big wine-tasting in a certain state not known for wine and was surprised to hear a winemaker talk about how it was “aged in oak.” Living in France, I was impressed and asked where he got his barrels–that’s a major investment. “Oh, no, we use chips. It’s faster,” he told me. Ugh. And he was selling his locavore plonk at a price above what a good bottle from France would cost! We have a bottle of Cynar in the bar! They make liqueur with anything here. We have lots of bottles with hand-written labels that were host gifts from various neighbors invited for dinner. All good. Not all sweet. 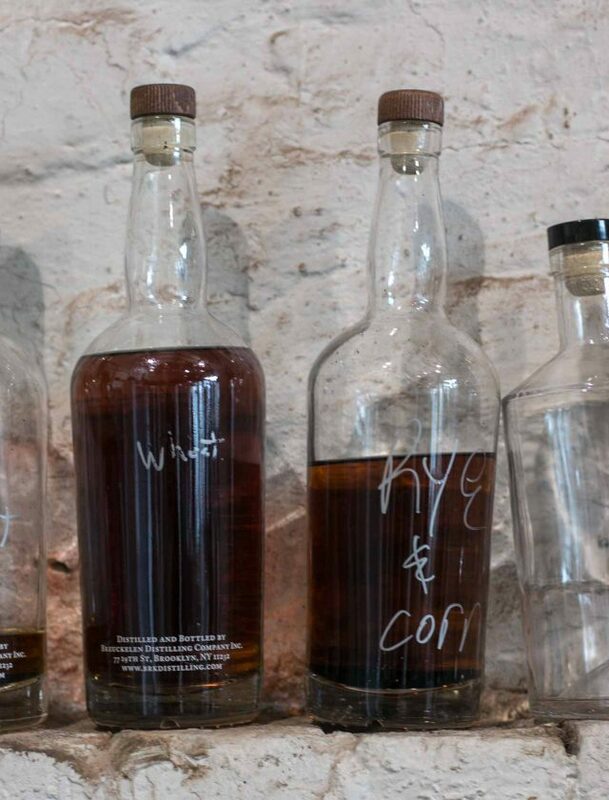 I don’t a lot about winemaking but know that a lot of American winemakers use French oak – and interestingly, some French winemakers and distillers use American oak, like I saw at a cooperage that made barrels for aging Cognac. Some of it is due to price/taste considerations: American oak I think is less-expensive, but adds a more pronounced flavor. I’m a big fan of Cynar and always have a bottle around. I’ve never had a Chin Up, but it looks to be right up my alley. I know what my aperitif will be tomorrow evening! That said, I think if you’re going to sub Fernet Branca for the Cynar you should probably cut the amount in the recipe to 1/4 oz. I haven’t tried it, of course, but if I were to do so I think that’s how I’d go about it. Fernet is pretty powerful stuff. Maybe that will have to be drink #2 tomorrow. You know, for research. “Glorious Gin”! I’d buy it just for the name. 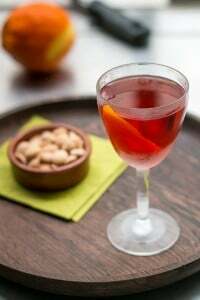 Wouldn’t the name “Chin Up” come from the Cynar (which I believe is pronounced “chin-ar”)? “Chin up”, as I remember it, is a phrase used in England to caution you to be cheerful in awful circumstances – probably common around the time of the First War. Goes along with Phlegm, sang-froid (and other English characteristics) and is matched on the top half by a stiff upper lip. that was my assumption, too. 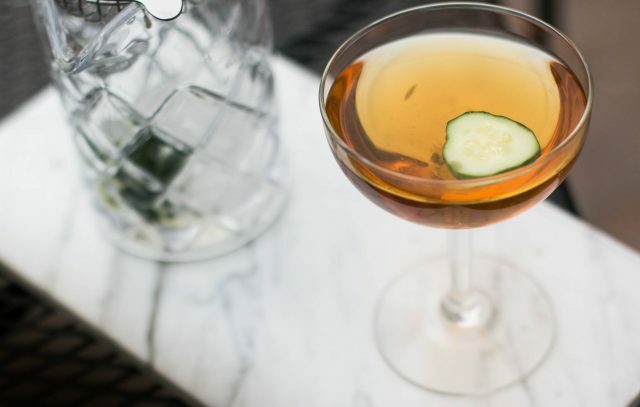 Cynar + gin = Chin and it’s served up. Chin Up to keep your chin up! French oak is the very best. Way better but also much more expensive than American oak. My local store has two versions of Cynar – 33 proof and 70 proof. 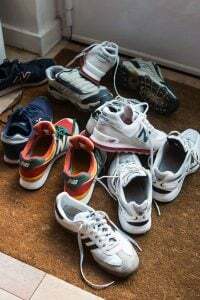 Which did you use? I’m with you on the sweet cocktails. I love how bars and restaurants are making signature cocktails, but I wish there weren’t so many oversweet ones. 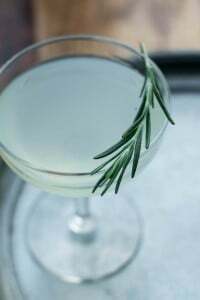 I made your Rosemary Gimlet and love it! The one I used is the red label (shown in back of the drink in the post) which is 16,5% alcohol, so that would be 33 proof. The 70 proof one seems to be a newer product (and seems to be referred to as Cynar 70, and looks like it was released within the last year?) and has a black label. Enjoy the drink! Your articles continue to amazes as in John Folse or Molly Stevens or Jacques Pepin or Marcella Hazan or Charlie Trotter, etc. Be it “Chin Up” or “Chin Down”, don’t stop. Winemakers in California have been using chips for over twenty years. 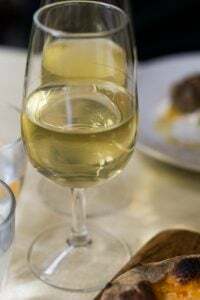 Most top end producers today use a combination of french and american oak, typically with different toasts to allow for blending. Chips are used in older barrels (after three years a lot of barrels become neutral) to pep up the wine so to speak. I didn’t know that winemakers used chips but I don’t see a big problem with them. I’ve read about people who make liquor at home using them and someone gave me a “barrel-aging” bottle, that I’ve used to age cocktails. Those oaky California wines seem to be fading in popularity, or at least I’m seeing bottles of wine in American wine stores that say on the labels things like “Unoaked Chardonnay” for people who don’t like that style of wine. So it’s nice there is more of a choice for those of us who prefer less-oaked white wines. remember gin is harder on your liver than vodka!!!!! Yum! 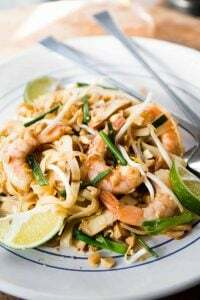 Thank you – definitely trying this! I love Cynar, straight up with some water!! Thanks for featuring? 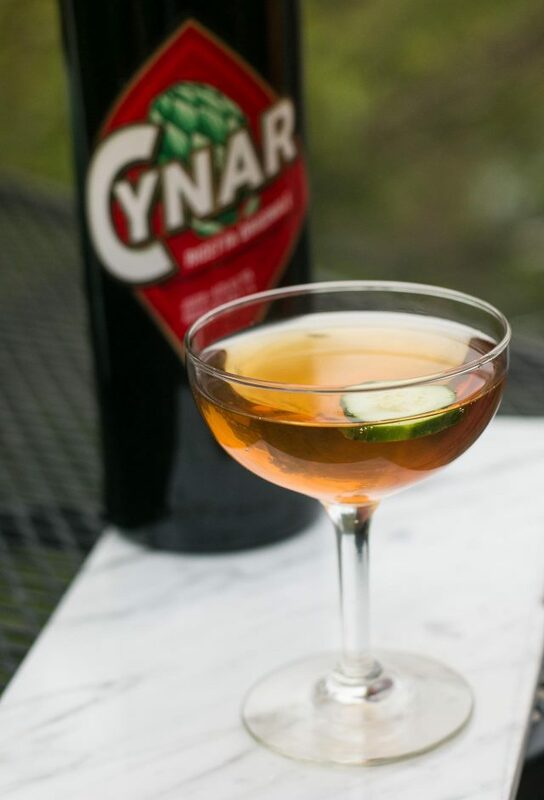 Cynar always makes me think of the time I was an au pair in Florence in 1991 and the family I lived with explained one day that they had discovered that the woman who came to do the cleaning and ironing once a week was drinking much of their liquor. Instead of talking to her about this they just decided to put all the liquor out of reach, except the Cynar:)! And that they then replaced once a month for her enjoyment. .. .
David, your post intrigued me and I am dying to try this drink. I am in luck, the LCBO store in Ontario has Cynar in stock! 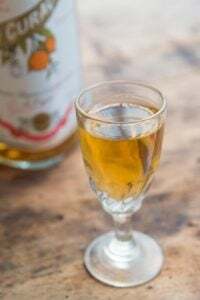 Living in France, I find Italian liqueurs expensive and as there are so many French made ones, can we have a recipe for those please or which ones to use as substitutes for the more obscure ones you use in your recipes? Eg., what could Gentiane be used in? I love gentian but it’s hard to get in many places. Food & Wine published some Suze cocktails that look good, although Suze isn’t easy to get in the states and I suspect in other places outside of France/Europe. I am with you in preferring non-sweet cocktails. When I am out and I do not see a drink that speaks to me from the menu, I usually request my standard cocktail to be made: vodka, fresh lime juice and fresh mint. If I am at a bar with a talented bartender that is not a problem and they are always happy to make requests. Distillery in Brooklyn! What is not being made in Brooklyn? It is the hot place to be. I’ve always liked Cynar. Bitter is what an amaro’s supposed to be, right? Winemakers in France, a few big ones, used oak chips even before the EC came along and made them legal. My question though, is – does the drink use dry vermouth or sweet? 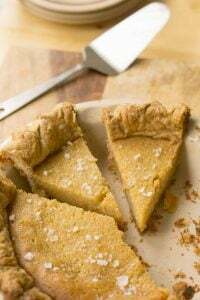 You mention sweet in the story and dry in the recipe. Umm, thank you, i love Cynar, There are other formulas for bold scent legal? Amen! At the wonderful Japanese restaurant Masu here in Auckland, they sort their cocktails into sweet, sour, salty, bitter and umami. If only everyone would! David-. Love your blog! I have all of this in my bar. I can’t wait to try this. I tried the New Spain cocktail this past weekend. Fantastic! What an unusual combination of ingredients. I had two! Exactly #David said right about the “Chardonnay” and I also suggest those people to try white wines.